Napier was strongly represented with a team of 9 students and staff from across the University: Maxine Wood and Jenny Dean from Napier Students’ Association were present, along with Rojan Kumar (NSA vice president), Liz Gunn (ELRAH), Paddy Perry (School of Nursing, Midwifery and Social Care), Tom Campbell (School of Life, Sport and Social Sciences), Heather Owen (Business School), Imi Dencer-Brown (DLTE) and our theme team leader Julia Fotheringham (DLTE). 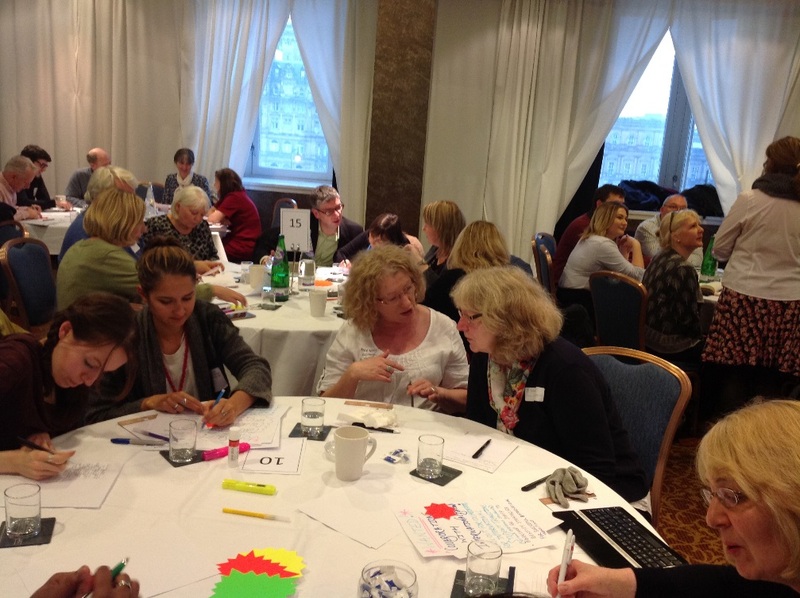 In order to gear up for 2016 transitions, the emphasis of the afternoon workshop was on collaboration. Each University was set two tasks in order to get conversation and ideas flowing regarding this topic. It was time to get arty! 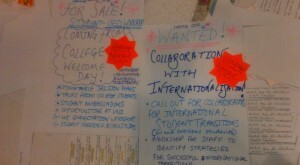 The first task was to create a Gumtree-like advert to advertise what we were selling as a University, in terms of transitions. Following the success of the NSA’s direct entrants induction day, we decided to sell a ‘Coming from College Welcome Day’, where we would share our knowledge and expertise on how to deliver an informative, interesting welcome day for students coming from college. 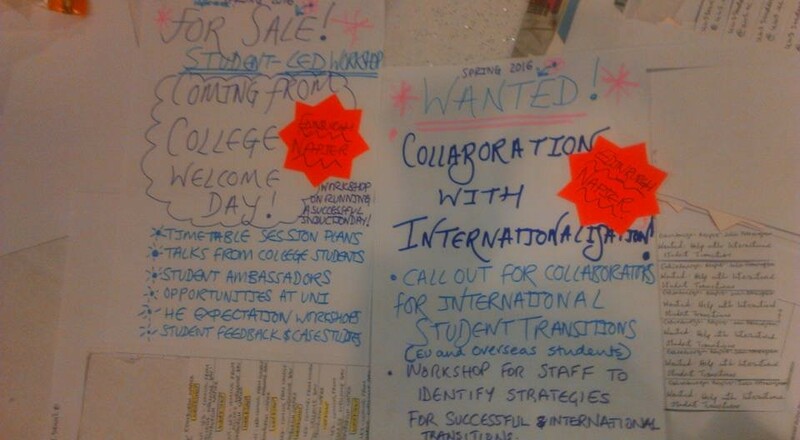 These adverts were placed around the room and then we had a chance to see and take details from other universities’ For Sale and Wanted adverts. We then had to identify our top two adverts and the most popular 18 in the room were then spoken about by the representatives of that university. This gave delegates the opportunity to understand and give advice on other universities’ transitions projects and a nice chance for networking and potential future collaboration. 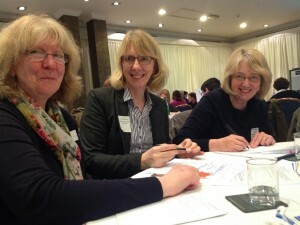 All in all, the event was a nice chance to reconnect with colleagues and keep our thoughts on student transitions for the coming year!